A legend in sea turtle research and conservation and the first biologist to collect direct data from the turtles’ “lost years” will speak at the 34th annual Symposium on Sea Turtle Biology and Conservation in New Orleans next week. UCF emeritus professor Llewellyn Ehrhart and assistant professor Kate Mansfield will speak at the symposium along with 14 others from UCF who will present talks or posters. The International Sea Turtle Society hosts the meeting each year – the largest of its kind in the sea turtle scientific community. The symposium draws hundreds of academic scientists, students and biologist from government and nonprofit agencies around the world. The meeting is meant to encourage discussion and debate, and to share knowledge, research techniques and lessons in conservation. UCF members begin presenting April 14. The meeting runs through April 17. Ehrhart will discuss sustained exponential growth in Florida green turtle nest production. Ehrhart, founder of the Marine Turtle Research Group at UCF, has been tracking turtles since the 1970s when he joined UCF’s biology department. His data were a key reason why Congress created the Archie Carr National Wildlife Refuge in 1991 near Melbourne Beach. Mansfield, who last month made international news, will talk about new information gathered from satellite tracking of young turtles in deep-ocean waters. 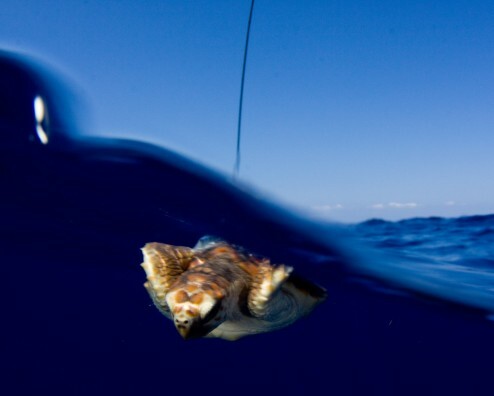 These data come from the turtles “lost years,” which refers to the time after turtles hatch and head to sea where they remain for many years before returning to near-shore waters as large juveniles. The time period is often referred to as the “lost years” because not much has been known about where the young turtles go and how they interact with their oceanic environment — until now. Ehrhart and Mansfield are leaders in their field, but they are not the only UCF representatives. The entire Marine Turtle Research Group and other students in UCF’s biology department are also presenting at the meeting. They include: doctoral candidates Simona A. Ceriani and Stephanie Garvis; graduate students Ryan Chabot, Chris Long, Kendra Cope, Lavinia Cheng and Josh Castro; and undergraduate students Fernanda D. Gusmao, Celine B.E. Mollet-St. Benoit, Emily Crews and Lydia Crawford. They will present a range of topics including: rotten turtle eggs and what we can learn from them; how to quantify the financial value of marine turtle protected areas; developing migration models to predict movement patterns in western Pacific green turtles that nest on islands near Taiwan, and developing habitat suitability models to understand how they could be impacted by climate change and sea level rise, among others. Carr refuge project manager and UCF graduate Andrew Sterner will talk about his study, which looks at sea turtle data over 10 years from a tag and recapture program near the Florida Power & Light plant in St. Lucie. UCF research associates Dean A. Bagley and William Redfoot will round out the team by presenting record-setting green turtle nesting data at the Archie Carr Refuge and the foraging ecology of juvenile sea turtles in the Indian River Lagoon. This past year was the most successful in 20 years in terms of green turtles laying eggs on the refuge.